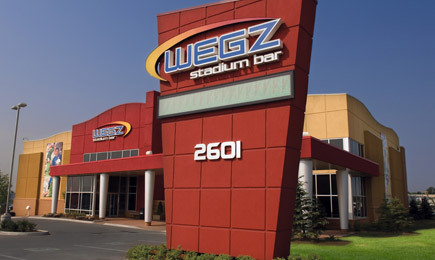 Sign up for WEGZ emails to receive special offers and promotions. Stay up to date with our latest promotions. Enter contests to win great prizes. Share your photos with the WEGZ community. 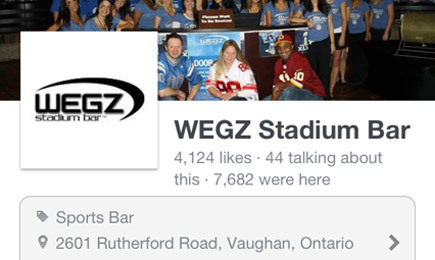 Click here to check out the current opportunities available at WEGZ Stadium Bar! 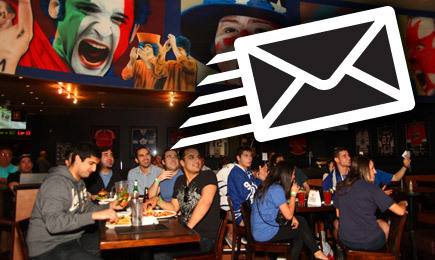 * Event Night Policy: Event nights include Saturday nights and any major sports event. Please call ahead to confirm. Please be advised that we allow 4-6 guests per booth and require a minimum of 4 guests to be present at the time of the request. 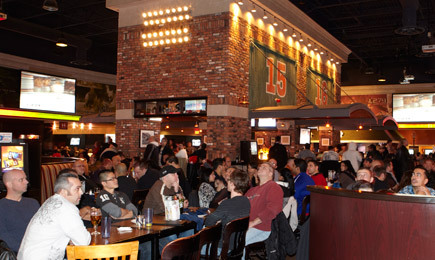 Once the reservation capacity has been reached, seating will be assigned on a first come, first served basis and we will require 50% of your party to be present at the door. All reservations are given a 15 minute grace period from the time of their reservation. Once the grace period has passed, WEGZ reserves the right to seat another party at the reserved table and/or remove any unused tables or chairs if the remainder of your party has not arrived. Due to business demand, the above policies may change and we strongly advise you to call in advance. Reservations for event nights are taken at any time – however, we may sell out as quickly as two weeks prior to the event.